Web Desk: Kiki challenge involves jumping out of a moving vehicle and dancing to the song ‘In My Feelings’. The challenge is getting famous but it is quite risky. In order to tackle it, Indian police has warned the masses to stop it. 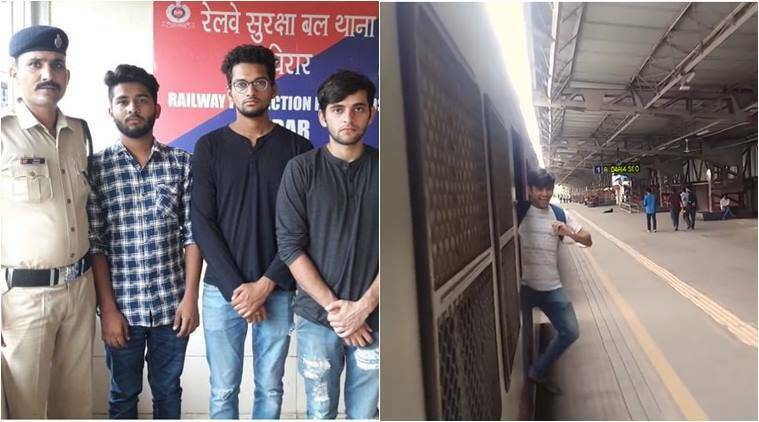 But still three YouTubers Shyam Sharma, Dhruv Shah and Nishant Shah were tracked down by the Railway Protection Force (RDF) after their video went viral with over 1 million views. They were produced before a local court which ordered them to create awareness against such deadly stunt. All the three youngsters will clean the railway station for three days as punishment for doing the viral Kiki challenge on a train. Previous Previous post: Did Kareena Kapoor’s statement fuel her fight with Bipasha Basu?